and risks important messages being missed due to loud machinery or vehicles noise. The new Uniden XTRAK 40 is an IP67 rated waterproof CB radio designed to fit into quad bikes and agricultural vehicles, providing clear transmission between users in loud outdoor environments. With 12/24 voltage, this UHF radio is ideal to install in almost any vehicle. Built rugged and designed to withstand Australia’s tough climate, the XTRAK 40 is waterproof and dust proof, making it the perfect communication tool for any exposed or open vehicle setting. A compact design allows the radio to fit neatly into any vehicle and features dual speakers in both the heavy-duty speaker microphone and the CB radio case, allowing the user to hear communications clearly while operating loud equipment. Unique to the market, the instant replay function records up to three minutes of transmission allowing the user to replay the conversation again in the event a communication is missed. Smart Mic Technology enables effortless switching between voice enhancer, instant replay, instant channel or the call tone feature. The voice enhancer provides four audio level settings (normal, bass, midrange and high) naturally enhancing transmissions for super clarity and performance. The compact XTRAK 40 is a UHF radio and scanner in one and includes Master Scan® for groups of users to seamlessly communicate on a range of channels. If communication is interrupted, all radios within the group will automatically transfer to another available channel so that uninterrupted communication can continue. The Uniden XTRAK 40 transmits and receives messages from up to 80 channels including police and fire frequencies. Users wanting to monitor more than one channel can use the triple watch function, allowing up to two channels, plus the standby channel to be monitored every 1.5 seconds. 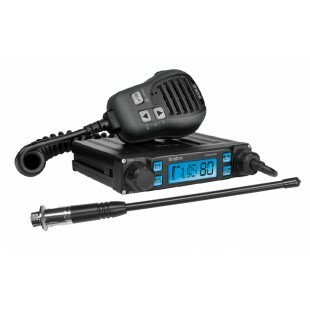 The CB radio case has a large LCD display providing clear and easy-to-read information. Users can choose from seven backlit colour options and can change the display brightness from one of the four options (off, low, mid, high), if visibility is poor. 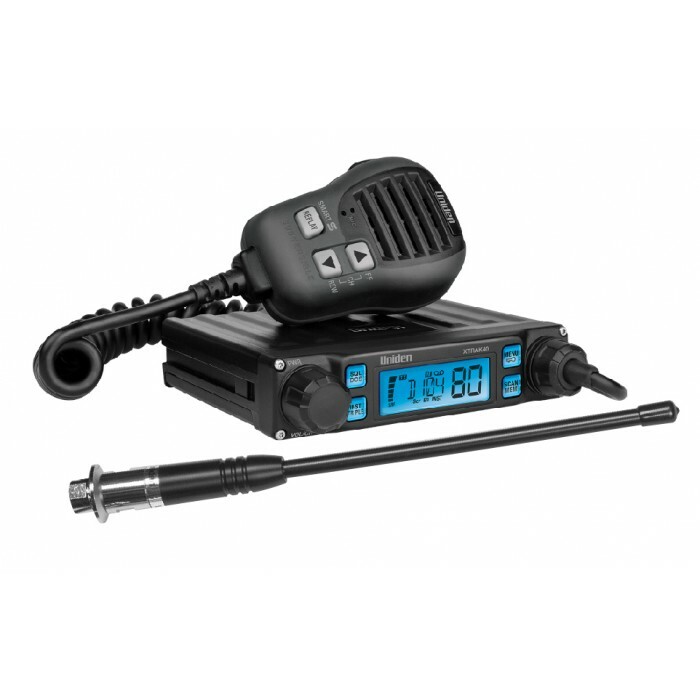 The XTRAK 40 provides hassle-free, clear communication for users looking for an outdoor CB radio solution that is built to last.